Post-coital breakfasts might conjure scenes of hand-feeding each other strawberries and loads of footsie, but they way we see it, you probably got enough of those kinds of shenanigans last night (and, frankly, you guys are making your fellow diners kind of sick, so quit it with the eating-off-each-others-forks why don't you?). No, a real post-coital breakfast needs to involve energy replacement (read: carbs), caffeine, probably some protein, and a good dose of sugar (as in, gimme some). 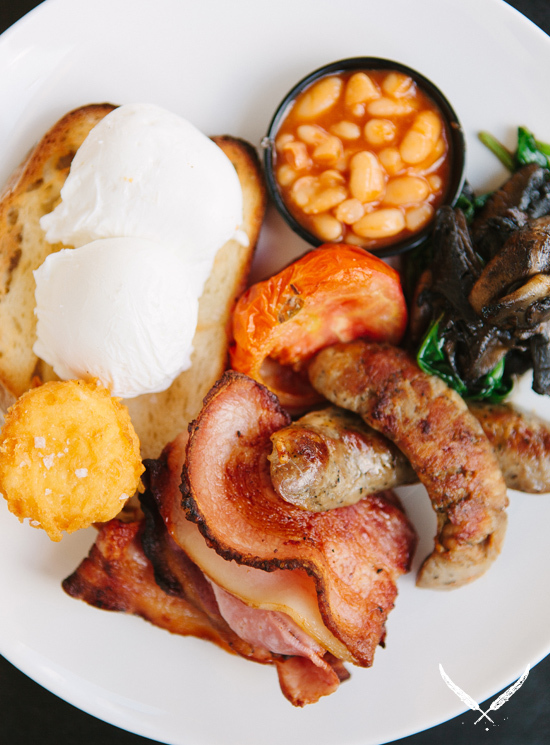 May we present the best Brisbane breakfasts spots to get your morning-after on. The Spanish are an, ahem, passionate people, and so it makes sense that their food is perfect for refuelling following a night of Valentine's fervour. Ole's various iterations of jamon, eggs, and chorizo feature alongside some lighter and sweeter options like fruit and yoghurt, or churros with chocolate sauce. If you happen to drag this particular breakfast out to a mid-week day, then you could win an exciting Global Culinary adventure just for spending $20 or more at Ole. The weekend breakfast menu at Crema and Cream is a study in how to do classic offerings—eggs Benedict, bacon and egg rolls, green eggs and ham—so it works wonders for any depleted energy store. Plus, the coffee nuts that run Crema and Cream, have three different extractions methods to put that pep back in your step. Everything is lovingly prepared by a professional chef and most things can be made gluten free, too. The Chelsea is a romantic setting and always serves up dependably delicious breakfast so it's post-V Day loving no-brainer. Our picks are the zucchini fritters with onion aioli and bacon, or the cinnamon hotcakes, 'cause some like it hot. Scout is a new Brisbane breakfast favourite and the delicious rotating menu (which is refreshed every 6 weeks) has around 8 offerings on it at any one time. There's something for the vegetarians, something sweet and something for the adventurous (breakfast salads), so you won't have to spend a whole bunch of time deciding, and can get back to the bedroom—if you so desire. The menu is on pretty high rotation at Plenty who are totally dedicated to the whole locavore thing, so we can't really give you specific menu tip. Rest assured that it will be a) completely delicious; b) filling and sustaining; c) totally guilt free. This weekend the menu includes Lindt chocolate pikelets with coffee cream and hazlenuts, baked eggs wtih Cumberland sausage, cheddar and slow cooked rosemary onions, and cinnamon toast, blood plums, vanilla cream, to name a few of the drool-worthy options. This Brisbane breakfast spot is becoming a firm favourite with locals, and Urban List staffers! Unique is how you would probably describe your love, and that's certainly how we would describe the Middle Eastern-leaning breakfast menu at Gerard's. Nothing says amour quite like dipping your toast into a shared shakshouka (baked eggs) while sipping on a Damascus rose bud iced tea with saffron rock candy. 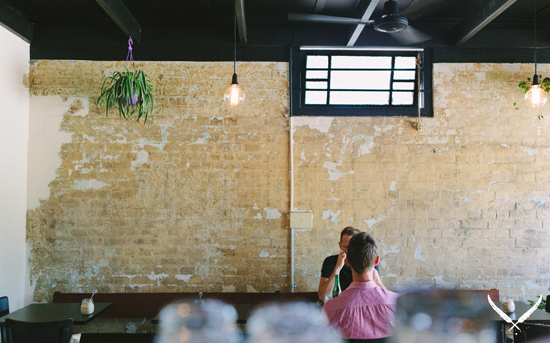 Decadent and romantic, and definitely one Brisbane breakfast spot you need to try for yourself. This cute as a button hole-in-the-wall coffee spot, part of Green Grass Home & Body in Bulimba, is a great casual breakfast and coffee spot. Grab a famous Park Bench Espresso milkshake for an energising sugar rush, or one of the fresh muffins and perfectly made coffees.